Peter Boos (PGTART) added a comment to T62097: Bone transparancy. Peter Boos (PGTART) reopened T62097: Bone transparancy as "Open". Peter Boos (PGTART) created T62097: Bone transparancy. Peter Boos (PGTART) awarded D3934: VSE cache with frame prefetching (WIP) a Like token. Peter Boos (PGTART) created T55502: origin center of mass /surface seams incorrect..
Peter Boos (PGTART) added a comment to T53236: Mesh import/export with high vertex count is very slow. ah i see now, at first i responded quickly, i wasnt judging him, but the line was a general statement. i should have written that poor sculpts, result in poor meshes, i was trying to explain that in general there (like a saying), but not to judge his specific level. 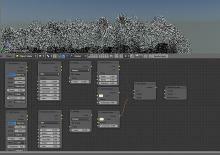 Without blend saving only applying the modifier, that raw data inside blender its about 1.7 Gig what you see on screen. that's to be converted to obj since the formats are not the same it takes around 7Gig of data to be processed to become a obj file of more then 900Mb. well it depends on the horsepower of your machine, over here its about 60 seconds. And i'm kinda amazed that such a huge file is still processed that fast, for the amounts of data that it has to process. Maybe add more Ram, or a faster processor (more cores) might help as well. (60 sec tested on Asus K95v a laptop 4 years old now). Peter Boos (PGTART) reopened T53236: Mesh import/export with high vertex count is very slow as "Open". Peter Boos (PGTART) added a comment to T53226: Parented Rigid Body offsets on transform if the parent has been moved. Have you tried using bones ? They are far better for finetuning relations between objects in animations. Parent-child is normally not used for finetune tweaking positions between regular objects. Another option is to use shapekeys, in edit mode but thats also not commonly used. Shapekeys are there when bones would be to complex to use. Peter Boos (PGTART) closed T53166: Shift click gizmo axis lock broken as Invalid. If this is your regular job, then i stronlgy recommend you a SSD, this is not a bug in code; the waiting time you have is simply caused by the IO speed of your harddisk. That suszane of 667MB took me about 2 to 3 secconds to load on SSD disk. So we realy cannot blame Blender here, but if it takes you 15 minutes upgrade your hardware, because your Disk IO speed is the bottle neck here. Peter Boos (PGTART) added a comment to T53229: Graph Editor sampling key frames issue. Peter Boos (PGTART) closed T53236: Mesh import/export with high vertex count is very slow as Invalid. The art of sculpting isnt super small polygons... Its knowing where to put details and where to remove them. So if your bad ad sculpting then that comes with a cost. Its not Blender's fault that processing lots of faces take more time, its mostly the speed of your hardware, you could buy SSD's and a faster computer, or better learn to sculpt. Peter Boos (PGTART) added a comment to T53230: import a fbx then export a dae file, blender crashed, (always). Peter Boos (PGTART) added a comment to T53126: Blender crashes / stops complete system. Its probably the extreme volume sampling, and light bounces for volumes, could your cards normally handle that ?? I rendered CPU and it did not crash, system stayed responsive, but had to kill blender cause such tasks take to much time, but windows was responsive. I can imagine since windows wants drivers to be responsive this loaded to much work on your cards, and system gave up on the drivers, and your system came in a halt. Halts are notorious to debug, but i would think the cause is obvious here.. remind that volume is one of the most time expensive shaders to use. Peter Boos (PGTART) added a comment to T53129: Image texture node, sequence doesnt preview in viewport. No, or if it should then its not working, neither for mkv movie or jpg image series. Not for CPU and not for GPU (if only CPU worked would allready be fine to me). Peter Boos (PGTART) created T53129: Image texture node, sequence doesnt preview in viewport. 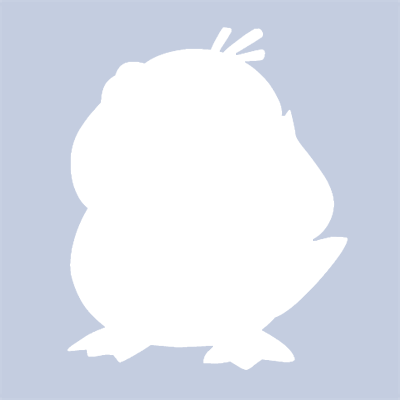 Peter Boos (PGTART) added a comment to T51302: "Boid" Force field does nothing; should be removed. Its not that if you have not used some feature inside blender that you should remove it, instead learn it. Things might not always have up to date documentation either, but still thats no reason to remove it. Peter Boos (PGTART) added a comment to T49887: Middle Mouse button for Rotate 3D view does not work (Mouse: Logitech MX Anywhere 2). i'm using am orginal microsoft optical mouse, middle button (pusshing scrol wheel works). Peter Boos (PGTART) created T49309: Ocean modifier not working anymore?. Peter Boos (PGTART) added a comment to T47969: 2.77 "Select Random" is broken. As for now you like something pure random. That wouldnt be possible if the random wasnt seed based. Well all computer random number generates use a see, (results are put back to buildup newer pseudo numbers on. So basicly each seed, a group of numbers. Peter Boos (PGTART) created T47770: MetaBall mesh convert to mesh leaves original metaball as filled empty behind..
Peter Boos (PGTART) added a comment to T47535: point density texture bug . It seams to be solved now, maybe the nodes got a bit slower, but its ok.
slower in the sense of fast clicking on a value to change it. Code seams to wait now till rendering is finished before accepting another value. Peter Boos (PGTART) added a comment to T47551: Smoke strange behaviour (when scaling 'collision' type objects). the smoke sim doesnt handle scaling, all object scales should be applied. not sure if it is a bug, its always been that way. Think of smoke as an advanced cycles material. if one scales the domain, then also the smoke doesnt change, as a material it only stretches. Well i dont see any error, it freezes and then Windows notifies that blender is not responding and blender crashes. 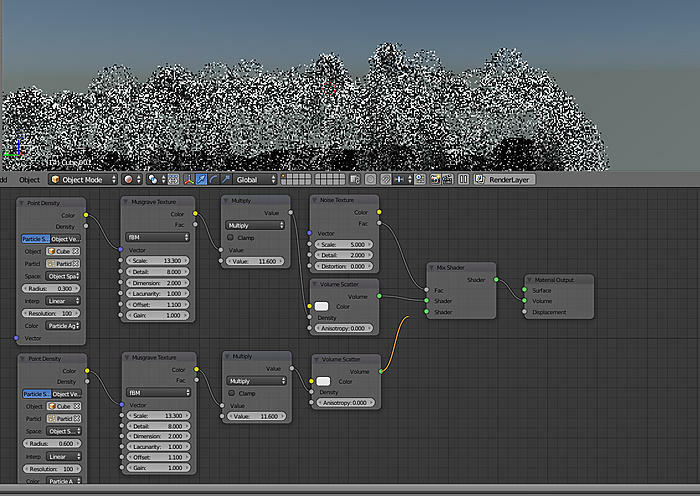 It seams that the below node setup (for making clouds) seams to crash blender, i was wondering if i am doing something that isnt supposed to be done, or if others can confirm that this node setup tends to crash blender 2.77 (sometimes not directly). crash in viewport and on rendering. sometimes not directly sometimes after a few secconds. Peter Boos (PGTART) created T47535: point density texture bug . Peter Boos (PGTART) added a comment to T47132: Cycles Rendering Tiles Indicator Limited to 16. Peter Boos (PGTART) added a comment to D808: Adaptive stopping and sample distribution for Cycles. Well c++ isn't the problem here, i can code in about 12 languages.. But i usually don't work with code distribution systems, i only once used turtoise. @Zauber Paracelsus, that could be a neat idea, to have it only kicking only after x samples, and maybe ideally it should kick-in to recalculate not every x frames, but that ratio should be a curve, However i think this future is no longer being actively developed now. Or is it still possible to compile it locally, and get this in cycles (that would be awesome) ?. Peter Boos (PGTART) added a comment to T47056: unable to import an obj in 2.76, it works in 2.74. Peter Boos (PGTART) created T47056: unable to import an obj in 2.76, it works in 2.74. Peter Boos (PGTART) added a comment to T46960: Blender crashes in editor preview mode, but not in rendering. if the drawing of the edit viewport where to be handled as suggested it might work . Peter Boos (PGTART) created T46960: Blender crashes in editor preview mode, but not in rendering. Peter Boos (PGTART) added a comment to T46827: Appending Specific Groups Doesn't Work. small note did you know for windows file path names you could use / as well, its some kind of compatibilty mode since the Dos age. You might not need to do such conversions. Peter Boos (PGTART) created T46835: Daily build glossy material crashes blender directly..
Peter Boos (PGTART) added a comment to T45039: Blender 2.75 RC1 Crash on startup (win 64bit ). Peter Boos (PGTART) created T45039: Blender 2.75 RC1 Crash on startup (win 64bit ). Peter Boos (PGTART) added a comment to rB064fa4baaedc: Cycles / Decoupled Ray Marching: Skip consecutive empty steps..
Peter Boos (PGTART) added a comment to T43850: Blender 2.73x crashes on object with high face mesh count (2.72 is fine). And me thinking a driver would likely update the openGL parts too. And well so it did, intel driver 15.x.x.x.xxxx or so fixed this. Ok just tried that, it was set at automatic. I think thats default ?. When manualy set to "openGL oclusion queries", it does not happen. In the other mode it crashes blender. .. But normally people dont do that, they are more likely get into this after sculpting. Peter Boos (PGTART) created T43850: Blender 2.73x crashes on object with high face mesh count (2.72 is fine). Hi, the experimental kernel need much more memory than the "supported". I cant even render the default cube with my GTX 560Ti 1.28 GB, my GTX 760 4GB work fine. There are some patches in review to reduce mem usage, also there is AMD team to work on split Cycles kernel in micro kernels what reduce it too. You can only disable your 570 in UP atm.. If you have the 2.5 GB 570 it is may a different problem. But do we really need this feature? The description says it's useful when having big tiles, but why not make tiles smaller? You shouldn't have big tiles on CPU anyway..
Also on GPU i'm not sure how it'll work -- without atomics. Also not sure it's possible to access other tiles buffers from GPU. Or maybe i'm missing something in the way how this feature works? Is there a difference with how this handles refraction materials when they have zero roughness or more than zero roughness? With one simple render of mine, I found that it was taking a very long time for a refraction material to render when it had zero roughness, but when the roughness was changed to any non-zero value, it was much faster. By changing the Refraction BSDF's roughness from 0 to 0.001, an image that previously took 20 minutes to render instead took only 41 seconds. It doesnt put a PC into crash or halt. Peter Boos (PGTART) added a comment to T38401: Metropolis Sampling. Okay, now it applies again. There are no new features in this version, so there's no need for new builds. @Peter Boos (PGTART) How does the patch disable CMJ? For me, it works with every adaptive option, even the progressive rendering. It produces way more noise than Sobol because CMJ is only low-discrepancy if the whole sequence is used, but it still works. Could someone please continue review here? On BA, there is quite some evidence that it indeed gives a nice speedup in many scenes (of course not in every scene), the parameters are about as intuitive as it gets (two checkboxes, one quality slider and a setting that you can safely ignore if you don't know what it does) and many users seem interested in it. Of course, I'll fix things that need to be changed, but I need to know what these things are. I note that correlated multi jitter disables your sampler. Its a different sampling method less advanced, but maybe its a tip... that if someone chooses your sampler to disable the other ones in the GUI. Or better extend the 2 sample methods there with yours (so it becomes 3 choices, with yours as the default), >like> pattern : adaptive. And then if users select another method, gray-out your sampler setting. Then your settings fit in, i think in the right place of the GUI sampler settings, and not somewhere lost below it. Peter Boos (PGTART) awarded D808: Adaptive stopping and sample distribution for Cycles a Like token. I've tested the patch with the agent shot here in the studio. It only gave about 8 seconds advantage in the total render time of 32minutes, which is less than a half of percent speedup. And in the same time i still don't see proof it doesn't lead to flickering in the animation (linking to the forum asking to read for feedback in there doesn't work as well because we don't have time to follow forums). This makes me real skeptical about accepting this at this point, especially before better ways of sampling are investigated. Comments in this patch seems to go to forum-ish like discussion, which is not really welcome here. It is a code review tool for developers, and stuff which is not directly related to the code review process should not be posted here. Well it think low values do make sense, say i would like to render a star-ship; mostly black background some stars and a detailed starship. The "old" non adaptive renderer wouldn't make any difference between black space, or the detailed ship they took equal render time. But now with low values one still could render fast "equal" all blocks of empty space, while the subject gets rendered normally, thats still an improvement. The same setup would allow for rendering experiments, on transparent, to be later combined with foto's or film, where just a small part is CG. Peter Boos (PGTART) closed T42070: Blender crash after rendering 2.72 as Resolved. Now the intel drivers and the Nvidea display drivers (as i have two graphic adapters in the laptop) both got an update by windowsupdate, and i seam to be unable to reproduce the problem. Peter Boos (PGTART) added a comment to T42070: Blender crash after rendering 2.72. Well in between video work (while i was eating) i did a render on the intel adapter, using the official release candidate of blender. I doubt that hardware is the issue here, since i wasn't rendering on GPU, and blender was just tiling the final render, and it has been doing fine for the start of the render job but didn't finish to the (final?) end. > i say final because that seamed to be the problem as i mentioned earlier in the blender artist thread. And i didnt found any result there, i think still the rendering itself didnt finish to the end, might be close related to the problem as i mentioned in the link although then i didnt got nvidia problems then, but like then the rendering process started fine, when i went sleeping 1/3 (one third) had been rendered fine then, the process was still going on. Peter Boos (PGTART) created T42070: Blender crash after rendering 2.72. While looking at the render proces i got an idea that's maybe nice, as it might reduce render time, so i share the idea. With adaptive rendering (i read from the threat this can be done on pixel scale as well), but that might not even be required for this idea. Well i used camera with a focus and an empty as focus object / (zmap might work as well for this idea). While playing around with settings i noticed something strange using R19 Jemonn's build (thanks), on my i7 octocore (no GPU). It seams a complex scene, how many faces its made of ?, how much lights ? Peter Boos (PGTART) awarded T38401: Metropolis Sampling a Like token. May i suggest "as an exception", this gets pushed to the Blender build bot ?. Bypassing code reviews. This doesn't break the other cycles render methods or other stuff. And we all know those builds are experimental anyway. As a result we wouldn't disturb the programmer any more with build questions, or failing compilations. Sure it might not have been peer viewed, but is it that so important ??.. Its experimental, and its the biggest blender change since well ehmm... cycles introduction. Anyone loves a faster renderer, even if still under development. Peter Boos (PGTART) added a comment to T38749: preview render bug (Cycles). It was really obvious the last time, i was working on something small in another layer. It took a long time to get a cycle preview of it. I had the wait the same time for my small object. It happened the whole evening while i worked on it, i wasn't sure if it was related to the latest build, but i didn't retried it with an older build. Today worked on it again.. and so far it hasn't happen. I'm not sure what is so much different from that day and today. Peter Boos (PGTART) raised the priority of T38749: preview render bug (Cycles) from to Needs Triage by Developer. Peter Boos (PGTART) added a comment to T38723: specific file crashes blender on load. Just loaded in Blender 2.69 official build 64 bit windows no problems with loading the file.